Tanwen doesn't just tell stories—she weaves them into crystallized sculptures that sell for more than a few bits. But the only way to escape the control of her cruel mentor and claw her way from poverty is to set her sights on something grander: becoming Royal Storyteller to the king. During her final story peddling tour, a tale of treason spills from her hands, threatening the king himself. Tanwen goes from peddler to prey as the king's guard hunts her down...and they're not known for their mercy. As Tanwen flees for her life, she unearths long-buried secrets and discovers she's not the only outlaw in the empire. There's a rebel group of weavers...and they're after her too. The main characters of The Story Peddler are so endearing. Tanwen is a farm girl with lots of ambition and hope for a life beyond all she's known...and all she's lost. Braith is a princess with a tender heart who finds herself in a very precarious position as she attempts to show mercy to those under her father's tyrannical rule. Both girls have at least one dear and loyal friend, as well as many more enemies. The premise and plot for this story offer a lot of intrigue and include delightful descriptions. It was so neat to see how storytelling unfolds in this fantasy world and to have the characters experience art (including words) in exciting, tangible ways. I also loved the emphasis on truth being revealed through art...how even when someone might not be intending to express something, truth speaks for itself. The book depicts this in such clever ways! There's a great sense of tension and danger throughout most of The Story Peddler as Tanwen and Braith navigate new situations and revelations. 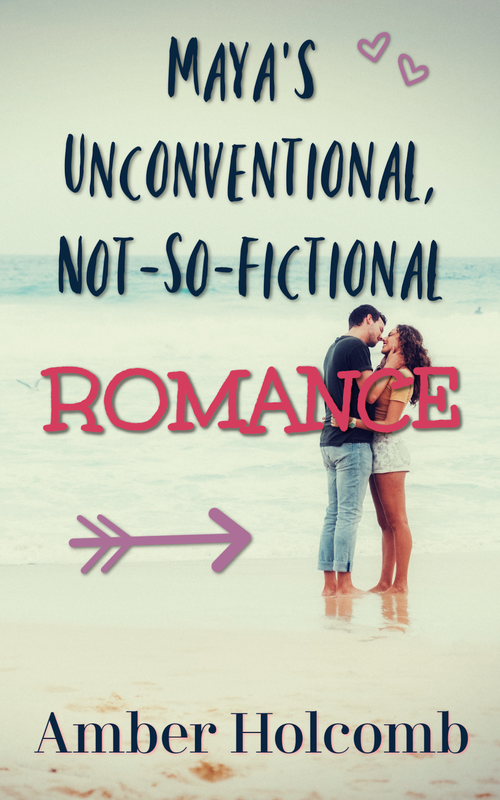 There's even a bit of romantic tension in the form of a subtle love triangle for one of the girls...but mostly, romance takes a back seat to survival and the quest for truth (as well as freedom to express it). This is actually the first in a series, but this installment has a solid ending while promising a different quest to come that will show readers even more of this intriguing fantasy world. 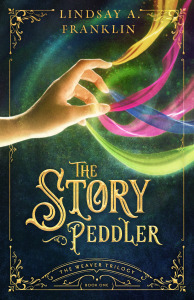 For a well-imagined cast of characters and an amazing display of their talents set against a backdrop of unrest and uncertainty, The Story Peddler is grand storytelling! 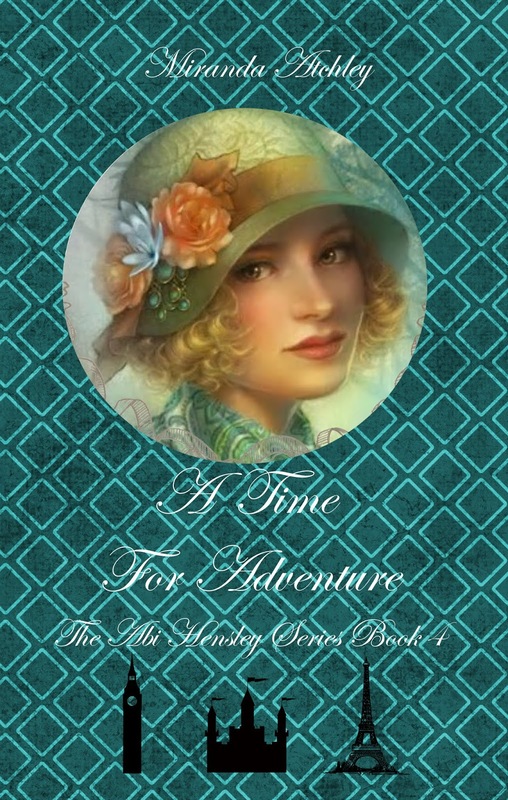 The year is 1921, and after years of dreaming, Abi Hensley has set out to travel through Europe. Along with her friend Meg Clery, Abi travels from the rich historical sites in England to the gorgeous green landscapes of Ireland, visits an abandoned castle in Scotland, and roams through the chic streets of Paris. Along the way, they meet a myriad of interesting people, encounter familiar faces, and see things they’ve only ever dreamed of. Yet their time in Europe isn’t without its challenges. While in Ireland, Abi joins Meg in spending time at her family’s farm. There, they find that the Clerys are overwhelmed by the demands of their farm. In light of this, the family must make some hard decisions; choices that could change the course of their lives forever. 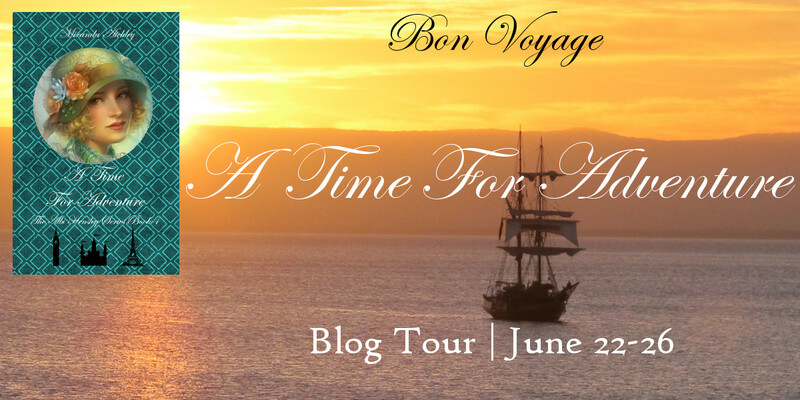 One thing is for certain: Abi’s tour of Europe will most definitely be a time for adventure. 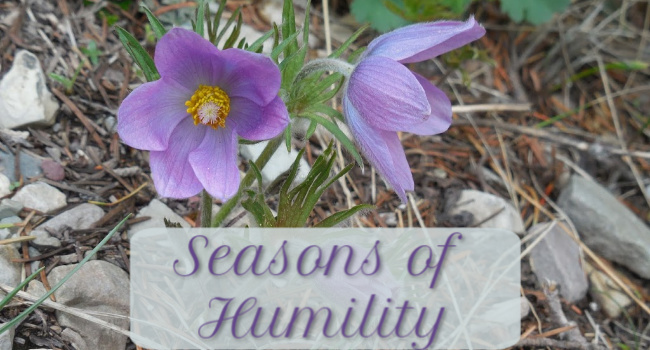 Amber: Welcome to Seasons of Humility, Miranda, and congratulations on your new release! :) If you could travel to any of the places Abi visits in Europe, where would you most want to go? What would you do while you were there? Miranda: All the countries Abi visits in Europe (England, Scotland, Ireland, France, Italy, and Switzerland) are on my list of countries I’d like to visit someday. But there is one place in particular that I knew nothing about before I wrote this book that really stands out to me: Bern, Switzerland. It sounds like a really interesting city and the pictures I looked at during the writing process are beautiful. (If you’d like to see some of those photos, you can visit my pin board at: https://www.pinterest.com/mirandaatchley/a-time-for-adventure/) I would love to visit this storybook city and see the medieval architecture and the Swiss Alps during the winter. Amber: What a lovely board! Bern looks like a great place to visit. What have you enjoyed most in writing about Abi’s adventures over the years in this four-book series? 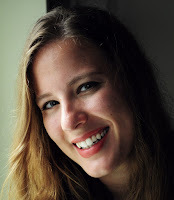 Has Abi’s journey mirrored your own as a writer or otherwise? Miranda: There are many things I enjoy about writing Abi’s stories. For one thing, I admire her because she’s a very brave and interesting heroine. She wasn’t afraid to chase after her dreams and do things that weren’t expected of women in the late 1910s/early 1920s. She drove a car, moved across the country on her own, and marched with the suffragettes. Her journey as an author has been different from mine in many ways, mainly because she went the traditional route, whereas I self-publish. Yet I can relate to her because we’ve both struggled with writer’s block, yet we both love writing deeply and have a great appreciation for the written word. Amber: You’ve written both contemporary and historical novels. What is the hardest part about switching to a historical genre? What is the most rewarding part of the process? Miranda: The hardest part is definitely the research end of things. There is a lot more fact checking involved in writing historical fiction than I had ever considered before I started writing this series. The most rewarding part is that I get to write in a genre that I love and have enjoyed reading for a long time. There’s just something about historical fiction that I love so much; the style of the writing, reading about the way things were in the past, and, of course, those outfits! Amber: I totally hear ya! I enjoy reading and writing historical fiction, but the research can be daunting. Speaking of reading... What are your favorite classic novels and why? Anne of Green Gables–This book will always have a special place in my heart. Jane Eyre–There are so many lines that jump out at me in this book ("I am no bird; no net ensnares me") and I admire Jane greatly. She was a brave and noble heroine. 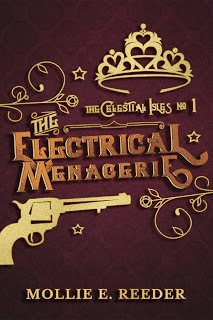 The Blue Castle–Valancy Stirling is one of the best heroines ever, and no one could spin a line like L.M. Montgomery. Daddy-Long-Legs–It was one of those books that I couldn’t put down and has really stuck with me. Jean Webster was another author who was full of wit and wisdom! Sense and Sensibility–I love Pride and Prejudice, but there’s just something about Elinor and Marianne Dashwood’s sister relationship that stands out to me and causes this book to nestle a special place in my heart. Amber: Love your choices and explanations! You picked some of my favorites too, like Anne of Green Gables and Daddy-Long-Legs. All such great stories! How about your series? Will Abi’s journey continue? If so, can you give a hint at what she’ll be facing next? Amber: Sounds like a grand finale for the series! Thank you so much for visiting today. :) It's been a pleasure to host you! 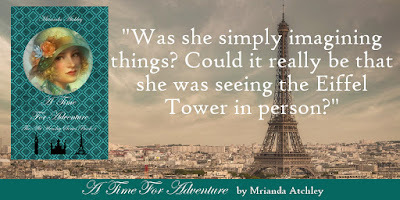 To celebrate the release of A Time For Adventure, Miranda Atchley will be giving away three Kindle editions of the book! 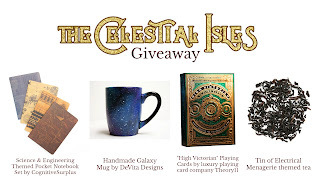 The giveaway is open internationally. Must be 18 or older to participate. Ends at 12:00 a.m. on June 26th. Also in celebration of this release, the Kindle edition of Of Things To Come (The Abi Hensley Series, Book 3) will be free to download June 22-26. Grab your FREE copy HERE! 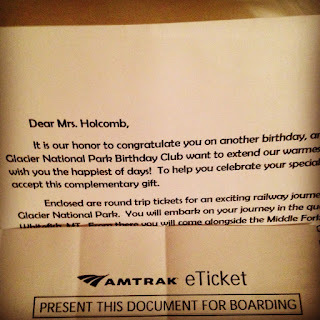 On Friday, Josh and I checked the mail, only to find an odd letter addressed to me from the "Glacier National Park Birthday Club." I opened it, was a little leery of the potential scam, and then discovered the letter was actually from Josh. 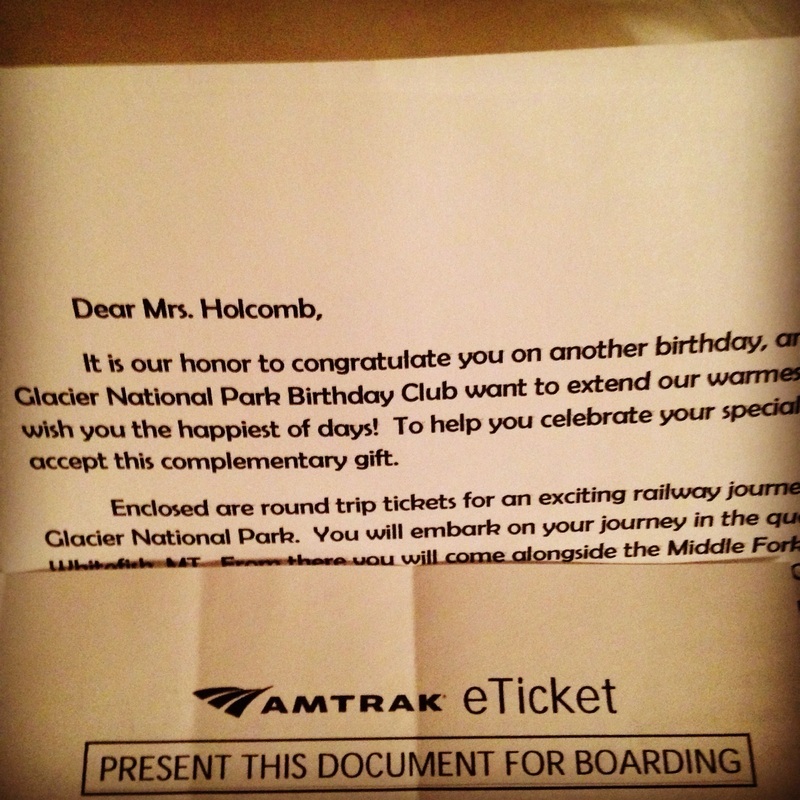 :) Enclosed was a boarding pass for a train trip on Saturday to and from East Glacier. So sweet!! It was such a delightful day! We boarded the train in Whitefish, Montana, and enjoyed the morning sunshine and gorgeous views during the two-hour trip to East Glacier. 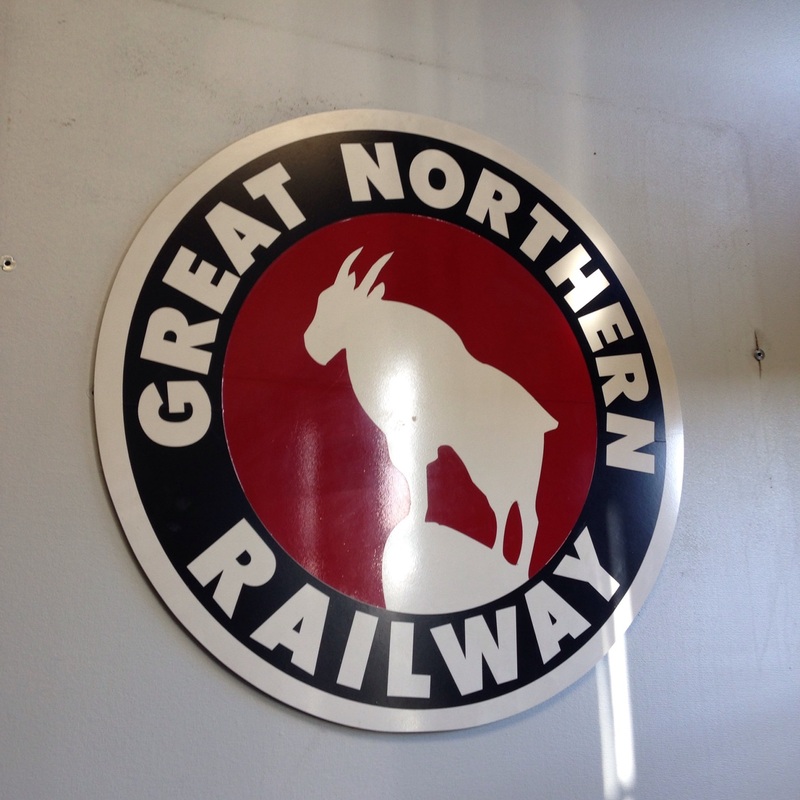 The train winds along the river during much of the journey and skirts the southern boundary of Glacier National Park. And now that it's spring (going on summer), the tree-lined path is green as can be and so lovely! The Many Glacier Hotel is beautiful and has the most amazing backdrop! We saw so much wildlife! Josh is scoping out a moose and her baby across the lake. We actually saw a grizzly bear and her cub!! In the St. Mary Lake area, we got a view of Wild Goose Island (above), Sunrift Gorge, and Baring Falls. The day is here! It's been over two and a half years since I released a new book, but this little novella is finally available. 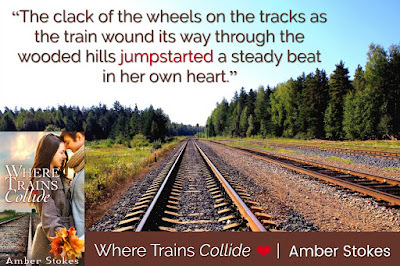 :) Thank you so much for stopping by to celebrate the release of Where Trains Collide with me! 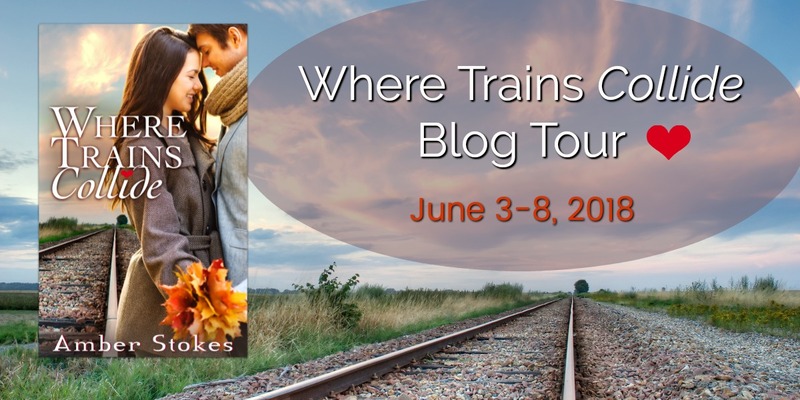 I'm honored and thrilled to have some wonderful bloggers helping to spread the word this week, and I hope you'll check out their posts (and maybe check out the novella, too, if you like sweet romance!). There's also a gift-card giveaway to add to the fun! Two hearts racing in different directions will meet where trains collide. 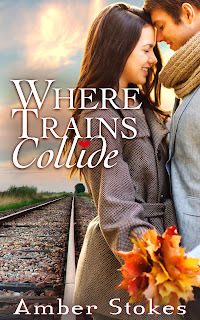 Burned out and disillusioned with her chosen career path, Trisha Knolane gives in to impulse and hops on a train bound for Oregon, eager to escape the stress of college for a few days. But what begins as a fun little adventure takes an unexpected turn when she discovers that her ex-boyfriend is also on board. All her hopes and dreams had once centered on Paul Benson. Now, when Trisha doesn't know where her current track will lead, Paul’s reappearance in her life only complicates matters and sparks difficult questions. Questions that could change the course of her life. A heartfelt and thought-provoking contemporary romance novella, Where Trains Collide faces the uncertain season of new adulthood head on and shows that sometimes a path of broken dreams can lead to life’s best destination. Amber Holcomb (Stokes) is an indie author and freelance editor living below the majestic mountains of Montana with her adventurous husband. 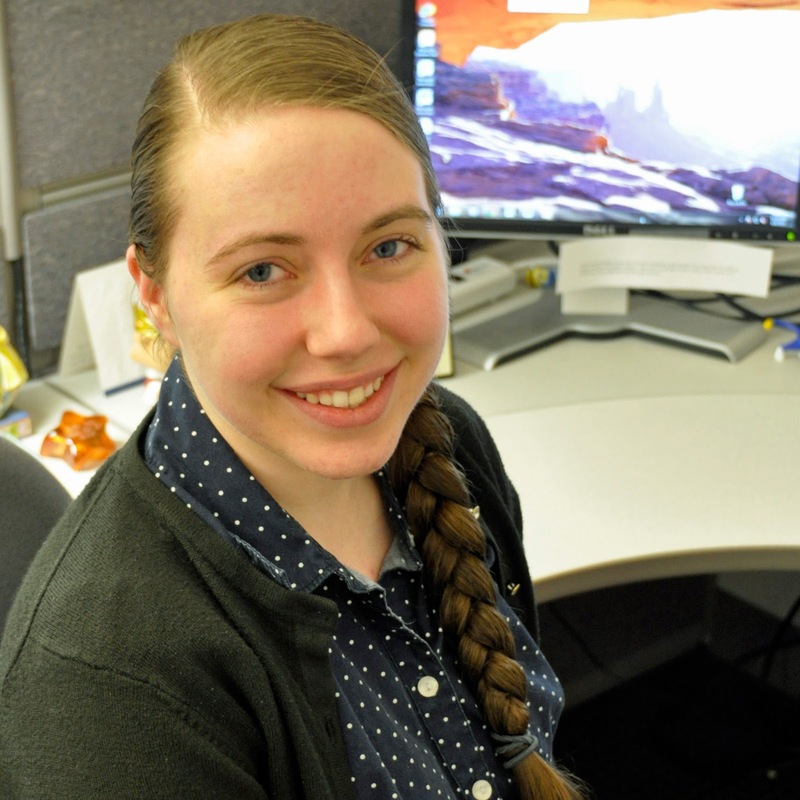 Previously, she worked in marketing for a Christian publisher for nearly three years. 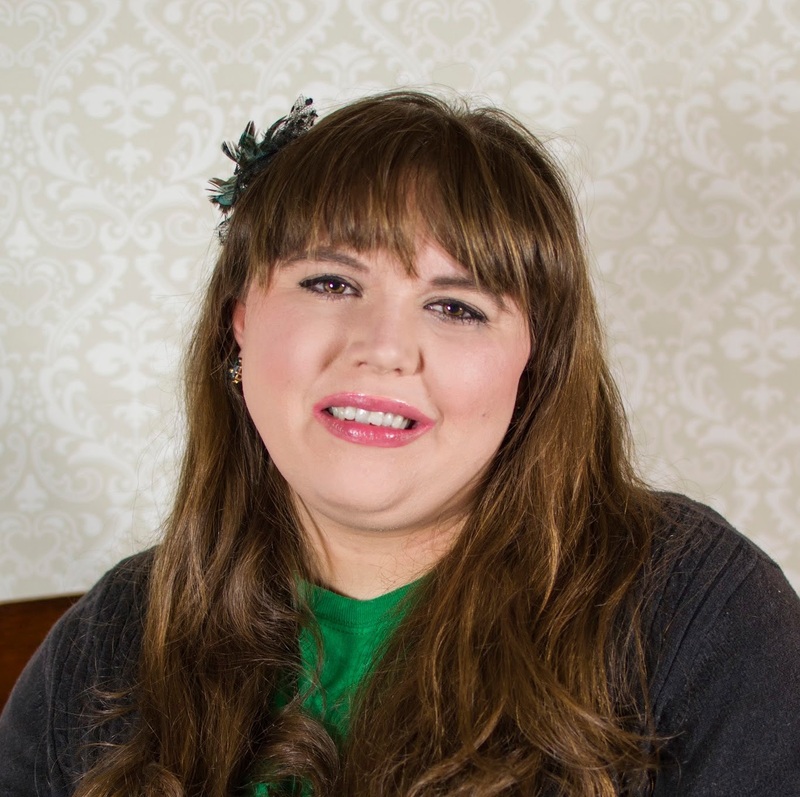 Her passion for books compelled her to earn a bachelor’s degree in English and now fuels her work with words in this new season of life. You can learn more about Amber’s books at www.SeasonsofaStory.blogspot.com. In celebration of this new novella, enter for a chance to win a $15 Amazon.com gift card! Giveaway is open internationally (to anyone age 18 or older who can receive an Amazon gift card via email). Void where prohibited.